Motherhood is tough. And if mums are facing added challenges, family life can feel overwhelming. Our work with mums and their young children provides a safe, therapeutic group environment for women who are struggling, but want to make more positive life choices. 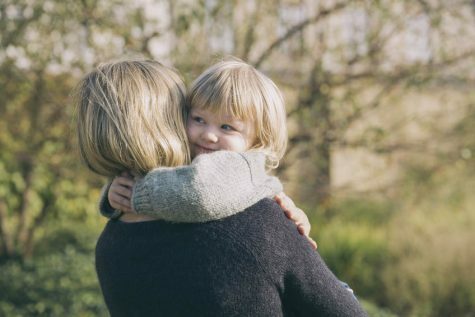 A twice-weekly support group for mums with their young children. This setting is unique: it offers mums a safe space to express, reflect upon and address their needs, whilst their children are cared for by our trained play leader and team of experienced volunteers. The mums’ group session is confidential and facilitated by a fully trained psychotherapist. Mums are asked to commit to attending sessions both on a Tuesday and Friday in order to maximise the benefit to both their child and themselves. Within the group session, mums explore issues impacting upon their abilities as parents and seek to resolve their difficulties with support from the psychotherapist and other mums. They are encouraged to recognise and understand personal patterns of behaviour, respect and learn from other mums who may be experiencing similar issues, and take practical steps to overcome their challenges. Mums are also introduced to relaxation techniques, mindfulness, and ways of managing stress and developing strategies to cope with extremes of emotions. 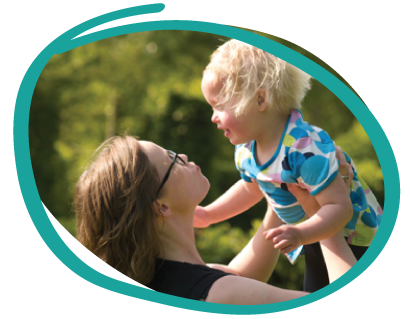 Mums can also be referred to our complementary counselling services if it’s felt they would benefit from extra one-to-one support. receive positive attention from attentive and attuned adults. Additional trips and activities for families are organised, and monthly group lunches are also held to encourage mums and children to socialise together. a degree of mental ill health. Mums can self-refer or be referred by another agency they are involved with. Get in touch if you think you might need our support, or if you would like to refer a mum. When a referral is made, the Mums and young children Manager arranges a home visit to discuss the needs of both mum and child. If our service is right for the family, following a settling in period for mum and child, mum then commits to participating in group sessions on Tuesdays and Fridays, 10-12noon. Initially, the Play Leader and volunteers encourage a mum to settle her child into the group’s play routine. Mums are asked to sign a confidentiality agreement before then joining the therapeutic group during the Tuesday session. On Fridays, children and mums come together in the play room where they can develop the skills of child-led play. For consistency it is important that mums and their children attend both Tuesday and Friday mornings. Do you need support, are interested in volunteering or want more information about our Mums and under 5s service?